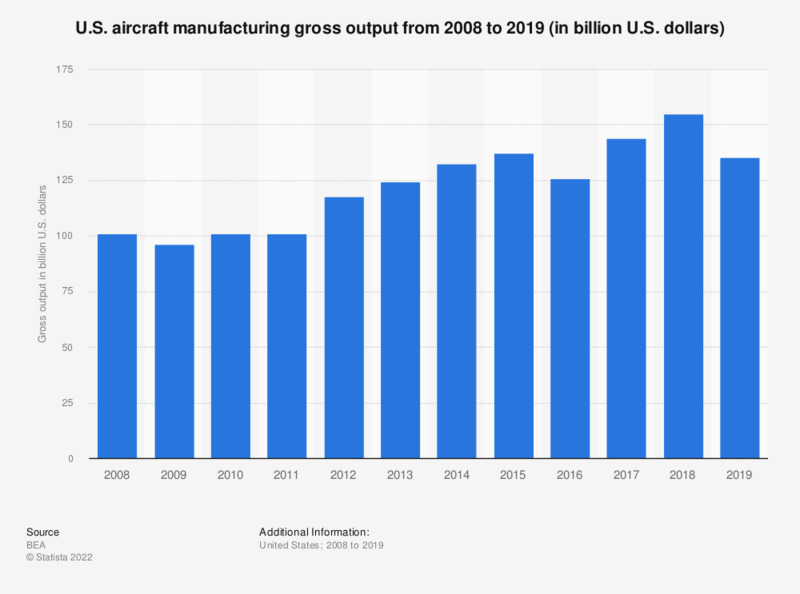 This statistic represents aircraft manufacturing industry gross output in the United States from 2008 through 2017. In 2017, this subsector generated a gross output of more than 128 billion U.S. dollars. All figures in current U.S. dollars. Which kind of seat do you prefer on an airplane?